Keep customers coming back for more with a coupon promotion – great for restaurants, car washes, and many other businesses! 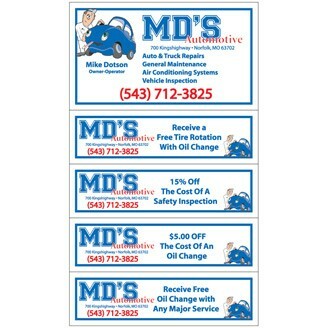 Removable and redeemable coupons equals lots of repeat business. Magnets can be printed horizontally or vertically! Size : 6" x 3 1/2"